Picky the Marvelous Chicken was not Ma’s idea of a good pet. She only agreed to keep the chick for a couple of weeks – three at the very most! – until her daughter could find a home for it. The young chick, however, did not like to be left alone, which is how she began spending her days snuggled securely in Ma’s apron pocket and, later, following along as Ma did her work. And to her surprise, Ma found that Picky responded to her gentle care in some very unexpected ways. 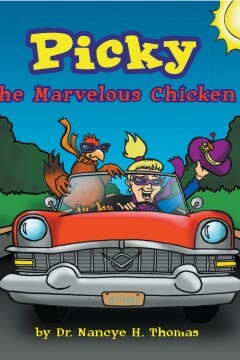 Young readers will delight in the endearing antics of Picky the Marvelous Chicken and her loving, patient caregiver. Dr. Ellicott has always been a lover of animals, especially dogs. She loved all the ones in her possession, starting with Bingo, then Shelly, then Teddy, then Andrew, and now TEKO! She loved them all and had a place in her heart for each of them! TEKO, who had traveled from North Carolina to a New Jersey shelter, was asleep when Dr. Ellicott first saw him. The sign on his cage said TKO (Total Knock Out). When they first met, he was a “gentleman” and acted like a “gift from heaven”! He always wanted to please and followed commands well. He is extremely intelligent and has a phenomenal memory for people and places. His empathy is profound. He seems to read her emotions. 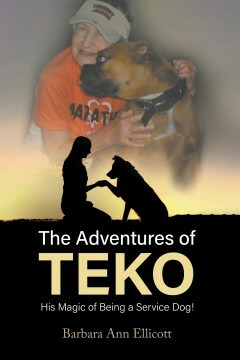 Dr. Ellicott discovered that TEKO wanted to be a service dog. She needed help with balancing and directions. She was recovering from progressive heart failure, said to be caused by he having had Lyme disease. TEKO, by nature, appeared to be caring for her difficulties. Dr. Ellicott is a speech-language pathologist and has certification as a learning consultant, school psychologist, teacher of psychology, teacher of disabled, and school principal. She is a vegan and is an ambassador for PCRM (Physicians Committee for Responsible Medicine). She is also a member of PETA (People for the Ethical Treatment of Animals) and is one of Dr. John McDougall’s “STARS.” Dr. Ellicott is a marathoner and a triathlete. 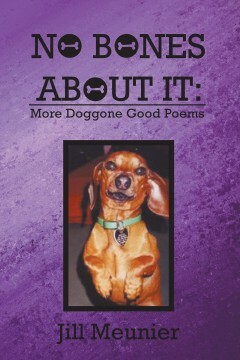 You can learn more about her on her website: drbarbaraellicott.com.